The above info came from Elizabeth Caron, and was edited by yours truly (contact me). The image came from Amazon.com. 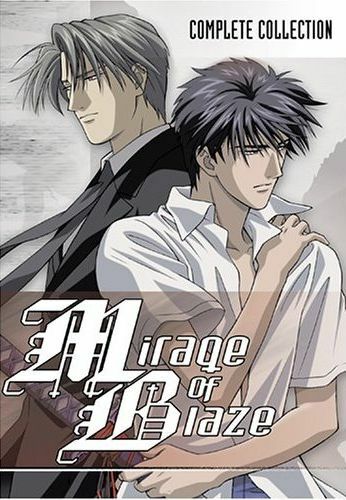 Takaya Ohgi lives the perfect high school life... that is until a man named Nabustuna Naoe approaches him. Naoe then tells him that Takaya really is a reincarnation of a 400-year-old possessor called Lord Kagetora Uesugi. There are three other possessors aside from Naoe and Takaya; Haruie Kakizaki, Nagahide Yasude, and the fifth is currently in the form of a baby. Their job, as possessors, are to exercise vengeful spirits, and fight the Feudal Underworld. Everything starts to take a turn as Naoe confesses his love for Lord Kagetora, Takaya's friend Yuzuru is targeted by other clans, the Hojo and Fuma clans attack, and the Feudal Underworld descends on the living world. The above description came from Elizabeth Caron, and was edited by yours truly (contact me).